Andy Griffith warmed the hearts of families with his good natured show from 1960-1968.
n contrast to the happy lives shown on the television shows, the youth of the 60's were taking drugs, becoming student activists, and having peace demostrations. Andy Griffith was a wholesome man, and went on to do a lot of great work in television for the rest of his life. 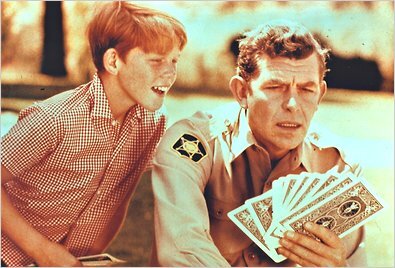 Back down memory lane with Andy and Opie. Remembering Matlock and how he never lost a case. Shared via Syndication Automation and the Syndication Express business page on Google. Thanks for the memories Sally.